In this report we examine the level of digital transformation of SMEs in Slovenia in comparison to SMEs from other EU countries. We take into consideration both the digital business environment (digital infrastructure such as Internet availability and digital skills of human capital) and the adoption of digital technologies. The introduction of digital technologies such as websites, social media, e-commerce, electronic information sharing and cloud computing simplifies and accelerates decision making, allows effective brand building, facilitates transactions and makes it possible to reach new customers. Are Slovenian SMEs ready to compete on the Digital Single Market? Our analysis shows that Slovenian enterprises are coping well with the introduction of digital technologies (2nd among the NMS13), which is mirrored in their intense engagement in e-commerce (both domestic and on the EU markets, 5th place in cross-border in the EU). On the other hand, they rarely use tools for supply chain management or customer relationship management and are reluctant to use cloud computing. 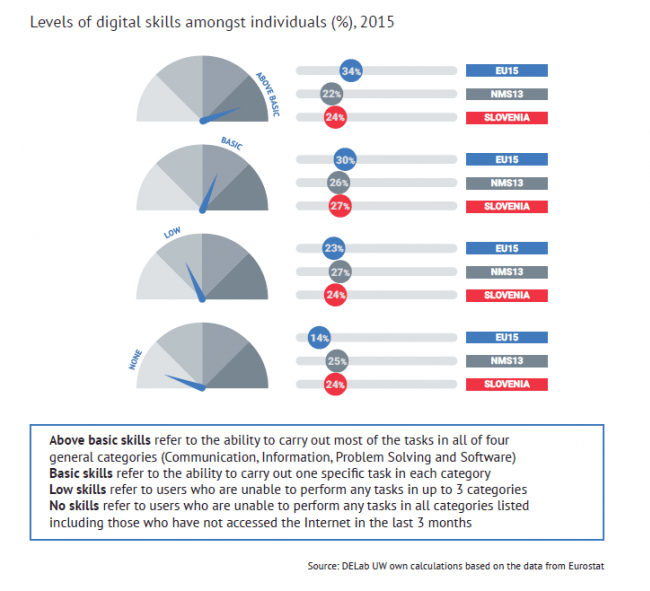 When it comes to human capital, Slovenians report good digital skills (2nd in the NMS13 and 13th in the EU15), particularly software skills. 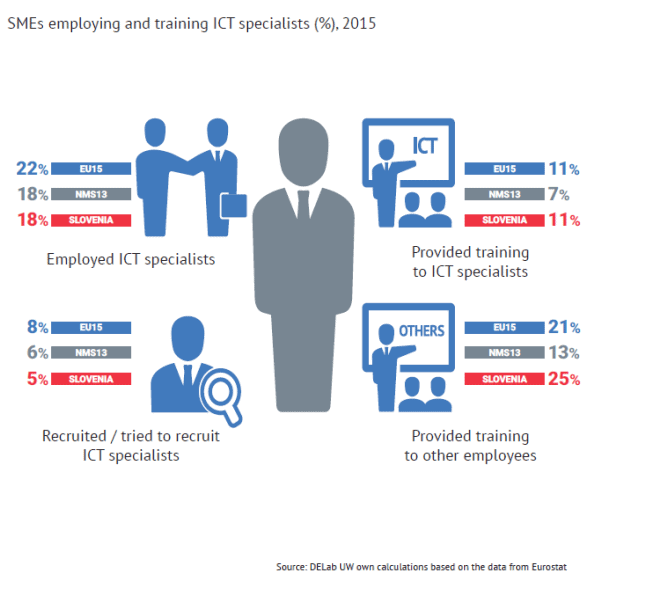 However, Slovenians SMEs still do not make full use of the potential of digital transformation because of the uneven digitalization of their environment.